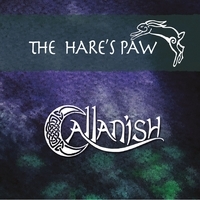 Our fourth album, The Hare's Paw, was released on March 17th, 2013. This album was funded by our fans via the fundraising website Kickstarter.com. We would like to extend special thanks to Laurel Zydney, Annie Tubiolo, Bob Hummer, Marian Davis Pierce, Steve and Jenny Van Hook, and Susan Sewell. The album is available for purchase by contacting us, or by visiting our digital distributor for CDs or digital downloads. To order CDs, contact us or visit our digital distributor to order mp3s. All CDs are $15, plus $2.50 shipping and handling.